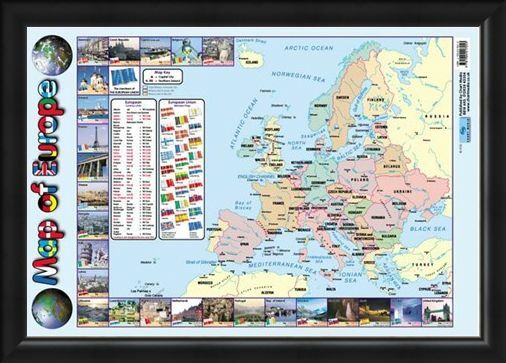 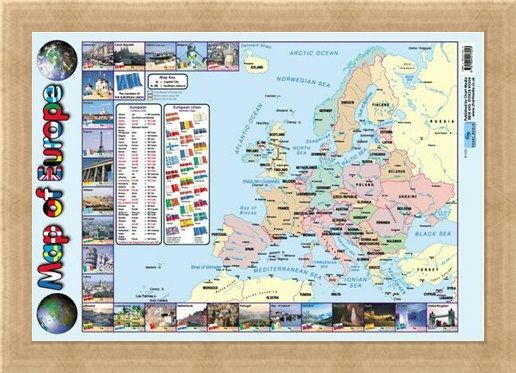 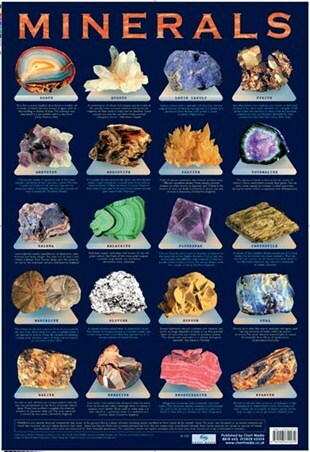 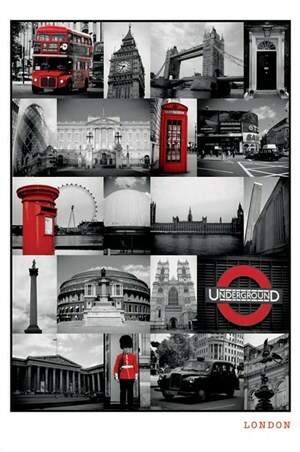 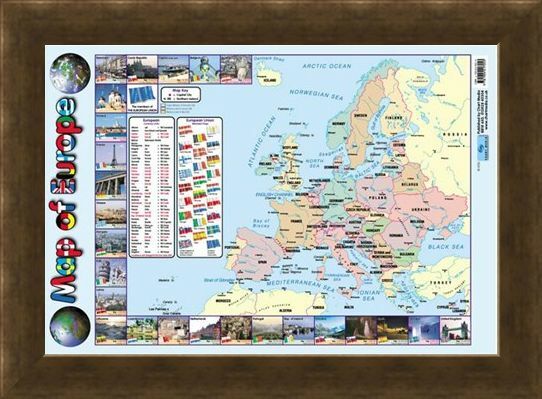 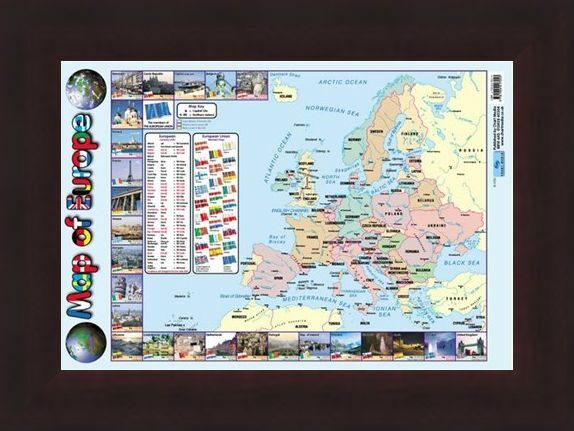 Map Of Europe Mini Poster: This glossy poster is great for any age with it's large, detailed political map and key. 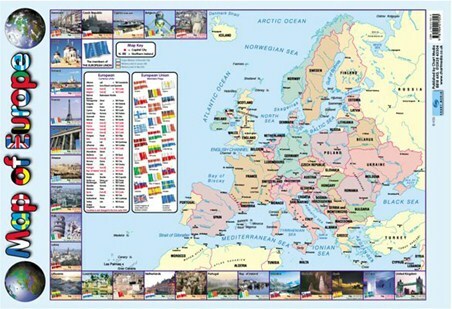 The European Union was officially named in 2003 but had been established under other names many years before. 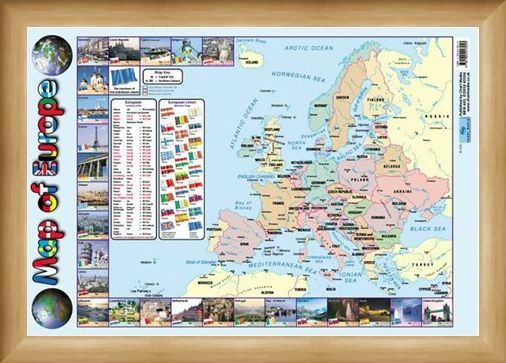 This map includes beautiful photographs of all 27 European Union countries which have their population included on the picture, as well as a separate section displaying all the flags within the European Union. 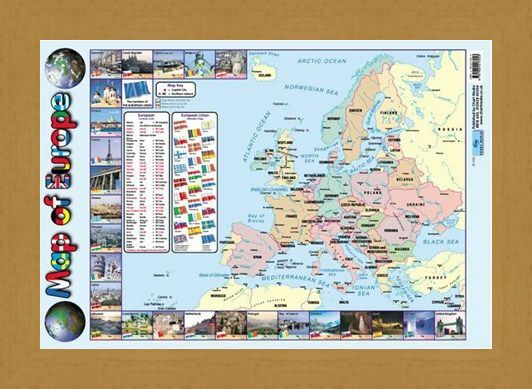 Last but not least there is a section on the poster displaying all the currencies for the different countries, with their change to the Euro highlighted. 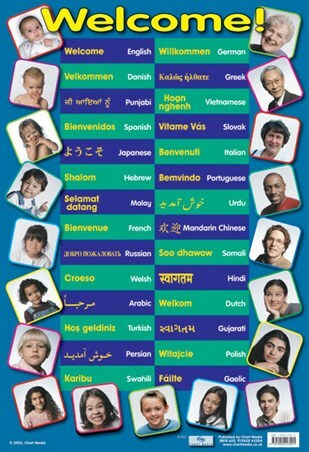 For anyone looking to travel Europe or just brush up on their knowledge, this is your perfect travel companion. 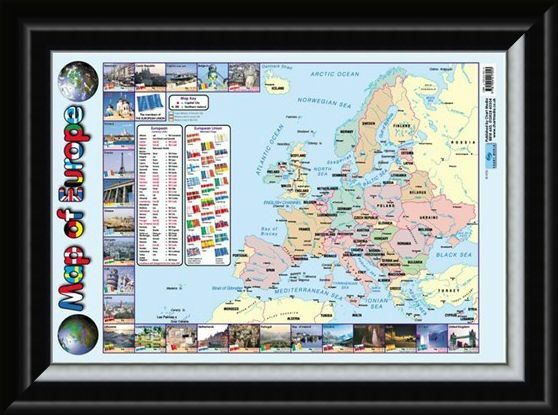 High quality, framed Map Of Europe, Educational Map mini poster with a bespoke frame by our custom framing service.